Chalk this under who knew, Louisiana? Labor lawyer and socialist Job Harriman was popular with the voters at the turn of the 20th century, but never enough to get elected. He ran for U.S. vice president with Eugene Debs in 1900 and mayor of Los Angeles twice, both on the ticket of the Socialist Party of America. After failing to get elected, he turned his attention to forming a socialist community in Southern California’s Antelope Valley. But after three years the co-operative colony struggled for lake of water and Harriman looked for a new home. He chose Louisiana, Vernon Parish to be exact. Harriman picked the abandoned sawmill town of Stables, consisting of numerous buildings, including homes, and 20,000 acres of cut-over land. A state highway and railroad ran through the town, enabling Harriman to get materials to market and food and supplies to the membership. In 1917, 300 “colonists” moved from California to Louisiana, about a third of the original colony, and the California Utopian settlement named Llano del Rio became the New Llano Cooperative Colony. And until it closed in the late 1930s, Louisiana’s New Llano was the longest non-religious socialist community in the country, according to Mary Ann Fussell, manager of the Museum of the New Llano Colony, located in – you guessed it – the present town of New Llano, Louisiana, just outside Leesville. Here’s how it worked. Anyone was welcome to join the New Llano Colony as long as they abided by certain rules, most of which were putting the community above the individual and living by the Golden Rule. All members had to contribute their time and those who purchased a certain amount of “shares” could vote. The town’s industry consisted of a shoe repair shop, filling station, hotel, lumber yard, veneer plant where items such as strawberry containers were made, broom factory, ice plant and more. Money earned from these businesses helped support the community. All members ate at a commissary and children were educated in schools and day care facilities. One building sported spaces for dances, movies and other entertainment and members formed bands and theatrical groups. The Depression helped spur the colony’s demise, in addition to leadership change and lawsuits in California. New Llano sold off its holdings and closed in 1937. 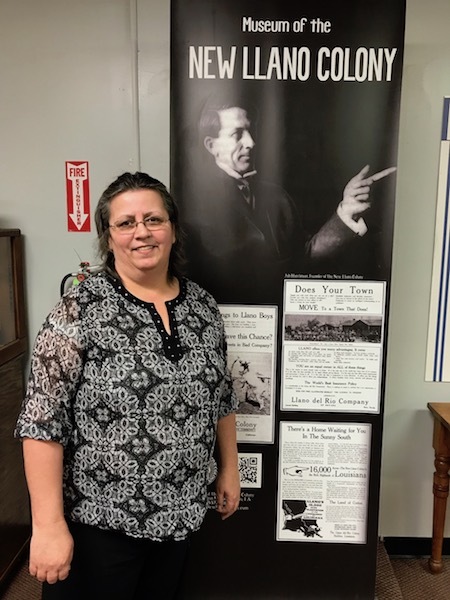 The thinking behind the community and its formation and operation is a fascinating experiment in Utopian and community living, spotlighted at the Museum of the New Llano Colony. Here visitors will learn not only the history of the colony but view numerous memorabilia and items produced by its members. Note: When the colony was founded, the current pronunciation was “New Yano” but residents today pronounce the town as its spelled.